In March 2011, universities and science minister David Willetts warned of a skills gap stemming from a mismatch between graduates’ skills and the demands of employers, criticising some universities for failing to produce suitably qualified candidates. In view of this, many are hoping that an international competition to be held in London in October will put vocational skills squarely in the foreground and inspire young people considering their future careers. 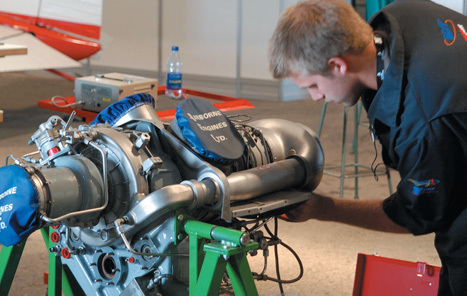 WorldSkills 2011 offers youngsters from all over the world the chance to compete in their chosen specialism. Dubbed ’the Skills Olympics’, the event will see more than 1,000 competitors from 50 countries competing in 45 categories. In manufacturing and engineering technology there is a field of 13 categories, including mechatronics, mechanical engineering CAD, CNC turning, welding and a manufacturing team challenge. As many as 150,000 visitors are expected to come to London’s ExCeL to watch the event, which has not been held in the UK since 1989. Companies and competitors who are already involved are eloquent about the potential benefits. Those who make it into the teams will have gone through an intense training programme giving them skills and experience beyond their years (the age limit is 22 in most categories), which will directly benefit the organisations they work for and, it is hoped, inspire their colleagues. But there is also frustration and a feeling that UK industry is not making the most of the opportunity to capitalise on the event. Festo UK managing director Gary Wyles is among the enthusiasts. A long-standing sponsor of the event, Festo is providing equipment for the mechatronics, mobile robotics and polymechanics events, while its UK arm is supporting the event locally by, for example, making equipment available to the UK mechatronics team. ’On a global level it’s a fantastic event that showcases talent and gives a focus particularly for the manufacturing sector,’ said Wyles. Dr Joe Astroth, chief education officer of CAD software supplier Autodesk, says of the last WorldSkills in Calgary two years ago: ’I was incredibly impressed with the event, its organisation and how it was an international celebration of the trades and skills required in the 21st century.’ Autodesk is a global industry partner and platinum sponsor of WorldSkills, and also assists in setting the tasks for the mechanical engineering CAD competition. The competition is moderated by teams of official experts, who congregated in London for a week at the end of March to discuss preparations. Dario Pinto, WorldSkills chief expert in mechanical engineering CAD, leads the team responsible for setting and marking the tasks carried out by the competitors, and for the logistics of making sure the event runs smoothly on the day. Pinto explained that the tasks competitors in his area have to undertake require a wide range of skills, including a knowledge of fabrication and welding, and the ability to produce detailed fabrication drawings, 3D assembly drawings, exploded views, and animations. But the competition is also about sharing best practice. ’The essence of the competition is to get together the best of what we can do from around the world, to exchange experience between Europe, Asia and the US, and bring it to our schools and training centres,’ added Pinto. As a silver sponsor, Mori Seiki is supplying 27 CNC turning centres and vertical machining centres for the event. It is also making machines available at its training centres around the world. Progress in the emerging economies adds urgency, he believes, and not just in China, India or Brazil, as he discovered recently when he visited Turkey for the first time. Wyles believes WorldSkills could help address the skills gap, but fears that as far as the 2011 competition is concerned, UK manufacturing has already in some ways missed the boat. Ryan Sheridan, 19, recently completed a HND in CADD (computer assisted design and drafting) at Motherwell College, Scotland, and is competing in the mechanical engineering CAD section. Sheridan won a bronze in the WorldSkills national finals in 2009, a silver last year, and a gold in last year’s EuroSkills, in which the UK team brought back 17 medals. Typical tasks over the four days of the competition include modelling and assembling 3D parts on a computer, producing fabrication drawings to a professional standard, creating a large 3D model with animated walkthrough and reverse engineering from a physical part such as carburettor from a 1960s car. ’After last year’s national final it was very hectic with only six to eight weeks until the selection of the UK squad,’ he said. He spent alternate weeks undergoing training with Matthew Bell, training manager for the UK team in Somerset. Once in the squad he was offered a place in the UK team for EuroSkills, which was then only a few weeks away. This meant a crash course in sheet metal techniques and reverse engineering, which don’t feature in the national event.